Ford Fiesta 5-dr Hatchback Normal Roof 2008 WingBar 961B Roof Bar Kit. Home › Car Travel & Touring › Thule Roof Bars & Accessories › THULE › THULE Ford Fiesta Roof Bars - 5-dr Hatchback Normal Roof (2008- ) WingBar 961B Black. THULE Ford Fiesta Roof Bars - 5-dr Hatchback Normal Roof (2008- ) WingBar 961B Black. Thule Ford Fiesta 5-dr Hatchback Normal Roof (2008- ) WingBar 961B Black Roof Bar Kit. 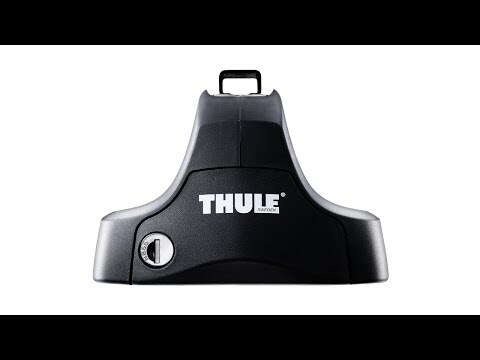 Thule WingBar 961 - The most silent and safe load bar. Want to use your bar often and leave it mounted on your car when not in use? The lightweight aluminium Thule WingBar might be the perfect choice. The loading capacity is higher, and still the bar is basically noiseless. Its T-Track allows you to use the full width of the bar and easily fit load accessories. Email a Friend THULE Ford Fiesta Roof Bars - 5-dr Hatchback Normal Roof (2008- ) WingBar 961B Black. Ask a Question THULE Ford Fiesta Roof Bars - 5-dr Hatchback Normal Roof (2008- ) WingBar 961B Black.